It’s Banned Books Week! Each year, libraries, schools, publishers, booksellers and readers across the country join together to combat censorship and recognize your right to read. Every year, the American Library Association publishes a list of the 10 books most frequently challenged for inappropriate content. Naturally, some of these titles are not in the CA Library collection because they are not age-appropriate and don’t meet our selection criteria. 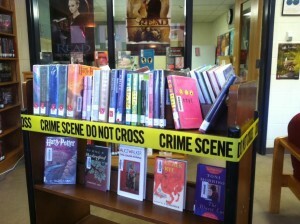 But many are, and are featured in the Banned Books display near the New Book section of the library.